More than 400 miles of roadworks are to be either completed or put on hold from today (December 23rd) as part of efforts to ensure the busy holiday period is as stress-free as possible for the nation's motorists. Highways England engineers are intent on ensuring the roads remain as clear as possible over Christmas and New Year, with 98 per cent of all routes set to be free from ongoing maintenance works between now and midnight on January 2nd. In total, more than 9,500 miles of the UK's transport network is – as of 06:00 GMT this morning – free of roadworks in time for the holiday season. Transport secretary Patrick McLoughlin said: "We are on the side of the honest motorist, making it easier for people to get around, as well as creating jobs and opportunities. 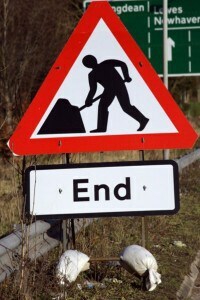 "Clearing roadworks over Christmas is a big win for motorists. Over the period millions of families will get in the car to visit loved ones. This move will allow hard working people to travel around freely at Christmas time and see friends and family." Individuals planning to travel over the festive season are reminded that traffic volumes are still likely to be far greater than normal and therefore they should consider planning their journeys in advance and be prepared to face potential delays. Drivers are also reminded of the need to pack a number of emergency items in case of breakdown during a festive getaway, including de-icer, an ice-scraper, warm clothes, boots and a torch.